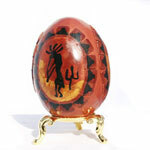 The styles of jewelry and beads I create are very diverse. 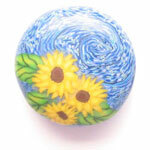 From my Van Gogh inspired "Sunflowers on a Starry Night Sky" focal bead to mini S'Mores earrings, you will find many different and unusual body adornment items. In loose beads, in addition to Starry Night Sky beads, I also make flower beads featuring roses, hibiscus, dogwood, petunias and more. Food themed earrings, including my hugely popular S'Mores earrings and Oreo earrings are some of my fun projects, along with a line of Deva Nature Spirit jewelry items, that are full of subtle whimsey. 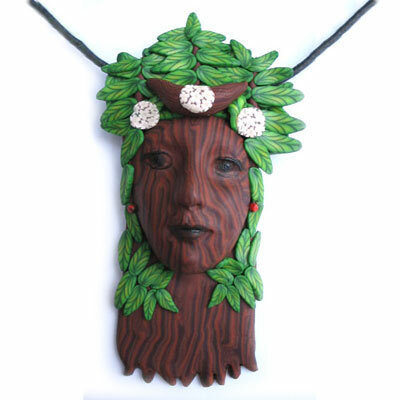 These include Tree Devas and Flower Devas, with more to come. Occasionally, I create exclusive one-of-a kind pieces of art jewelry, so check back often, if you shop for designer type jewelry that is original.